ST. LOUIS — Monsanto Company announced July 22 that the European Commission has granted import approval for Roundup Ready 2 Xtend® soybeans. This approval allows for the import and food/feed use of Roundup Ready 2 Xtend soybeans into the European Union. The European Commission’s approval follows Monsanto’s February announcement of Chinese import approval. With both the EU and Chinese import approvals and the U.S. Environmental Protection Agency (EPA) in the final stages of review for over-the-top use, Monsanto is looking at a full system launch in the United States in 2017 and expects to supply roughly 15 million U.S. soy acres. A full system launch also is planned for Canadian soybean growers in 2017 given the previous Canadian regulatory approval for Roundup Xtend with VaporGrip Technology and XtendiMax herbicide with VaporGrip Technology. “Farmers are telling us they’re looking forward to the benefits of the full Xtend Crop System, including over-the-top use of dicamba and glyphosate,” said Brett Begemann, Monsanto president and chief operating officer. “It’s important to remind growers that, at this time, there are still no dicamba formulations registered for in-crop use in Roundup Ready 2 Xtend Soybeans or Bollgard II XtendFlex in the United States,” said Miriam Paris, U.S. soybean marketing manager. 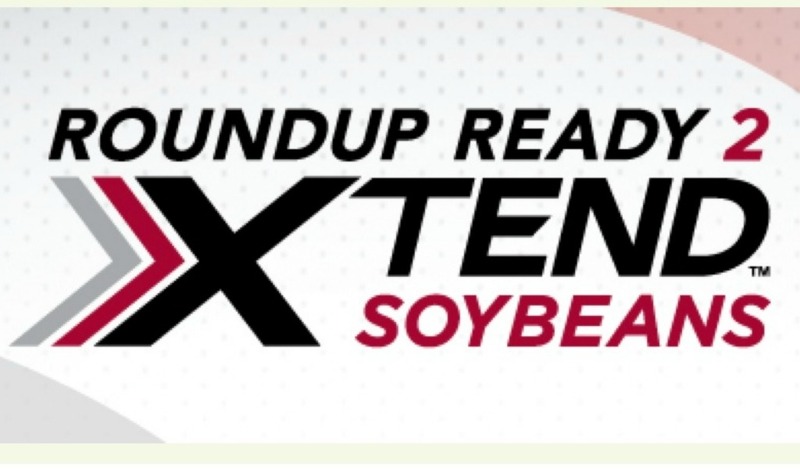 Roundup Ready 2 Xtend is Monsanto’s newest soybean platform that includes tolerance to dicamba. This new dicamba-tolerant trait is stacked with the current Genuity Roundup Ready 2 Yield soybean trait technology.